Samsung Presents B310, a small, simple and reliable phone designed exclusively for making calls. Samsung B310 is build a very pleasant and distinctive design, long battery life and the Samsung B310's ability to use two SIM-cards are the things to watch for and that too in an affordable price. If you have two tariff package, Samsung's B310 is very convenient no matter what network are you on you can easily switch from SIM1 to SIM2. Key characteristics of B310 comfortable classic model from Samsung is known for quality and functionality. Colorful 2.0 inch TFT-LCD clearly displays all the icons and text. B310 by Samsung will work on GSM 800/1900 and for quite a long time without recharging. Sensitive dust-proof backlit keyboard of Samsung glory edition B310 is comfortable and easy to use. Illumination is especially useful in low light conditions. 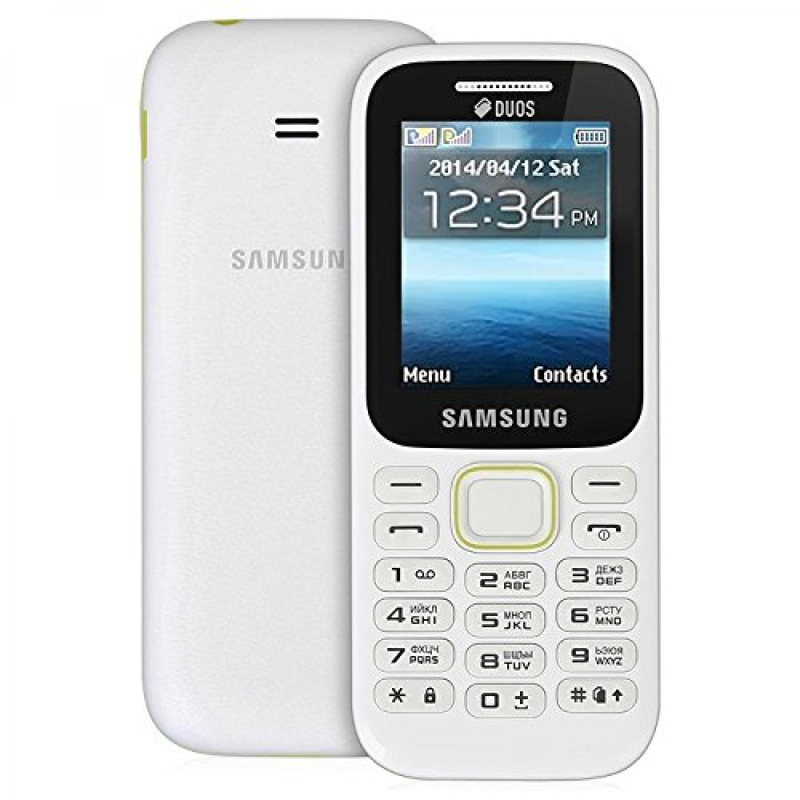 This Samsungs mobile phone is lightweight and compact, with good sound quality. GPRS and Bluetooth 2.1 allows the exchange of data on Samsung B31 with other devices. Having an organizer, a few games and a radio, Samsung B310 hiphops like a king. If you're looking for an inexpensive and high-quality mobile phone, we recommend you to buy Samsung latest bar phone B310. better than nokia phones and other phones in this price range in my own opinion if you do not need a camera phone.